Let us take care of your property maintenance. Mowing gives your lawn a fresh and revitalized look. Trimming keeps your property clean and neat. Edging, weed whipping and blowing is also available. 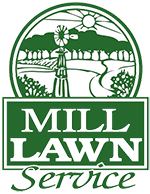 Mill Lawn Service provides professional lawn care services weekly, bi-weekly or monthly.